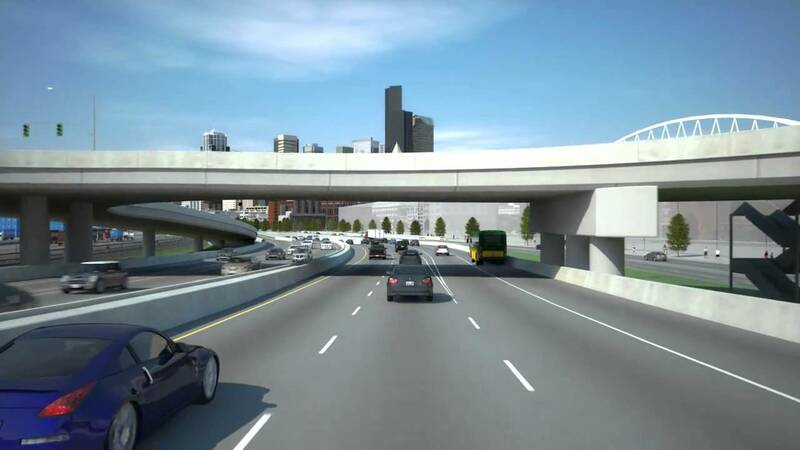 After the closure of Alaskan Viaduct, the new Highway 99 is all set to open. And as per reports, it will have multiple safety features like eep tube with a 21-mile network of sprinkler pipes, along with jet fans, surveillance cameras and instant message signs that together depict the world’s newest safety features. The need of such preparedness increased after a charter bus carrying the Stanford University track team burnt into flames on northbound Interstate 5 near Columbian Way. The accident made people imagine if the accident would have happened in a tunnel. Susan Everett, tunnel design manager for the Washington State Department of Transportation (WSDOT), said temperature sensors on the walls would trip alarms. Water would automatically start sprinkling in 87 seconds or sooner if engineers at the regional traffic-control center in Shoreline turn them on. Tunnel decks are fully under surveillance by security cameras that make a quicker response likely. Water would be falling at a rate of one-third of an inch per minute. And as per Everett, the existing rate should quench an open car fire, but not fire under the hood. Brian Parker, an HNTB mechanical engineer, said in either case, sprinklers will prevent flames from spreading until firefighters arrive. And the water deluge by the sprinkler would also avert extreme heat build-up from any fire mishap. This will be important as a prolonged fire near 2,000 degrees can make concrete explode like popcorn. It is not merely a theory; this has happened in European tunnels, including one under Mont Blanc between France and Italy in 1999, where smoke and heat killed 39 people. As per Seattle fire code, petroleum trucks are banned within the Highway 99 tunnel, and required tunnel systems that hold temperatures below 716 degrees. Tunnel ceilings and upper walls were sprayed with a fireproof calcium liner that looks like stucco to help the sprinklers. The system also takes care of the smoke that might be generated. Smoke would be sucked out sideways through wall-mounted baffles, into a closed passage. Huge 500-horsepower fans would throw smoke out the north or south end, each of which has four yellow smokestacks. Outdoor air pump and 17 jet fans will replace the smoke with fresh air at the tunnels. There will be an emergency escape as well, through which people can easily go out of the mishap place. They will be marked as greenway every 650 feet, on the Puget Sound side of the tunnel — the right going southbound left going northbound. The door would lead to a refuge area that would be equipped with a camera, emergency phone, and vents where clean air is pumped in. Stairs connect to an emergency corridor, where people can walk to either Sodo or South Lake Union. Those with wheelchairs or severe injury should wait at the refuge area until the help reaches them. As per Everett, WSDOT tunnels average only about one small car fire per year. In September, Police and firefighters drilled for a worst-case crash involving two buses, one fire, and 24 injuries. There was one problem spotted in that exercise, a 3- to 5-minute delay until information was relayed from the Shoreline control center through emergency dispatchers to firefighters, said fire Battalion, Chief Brady O’Brien. A direct hotline number has been established to solve that problem. People in the fender-bender, non-injury collisions should easily drive out of the tunnel. “It doesn’t matter if your flashers are on, when you’re stopped in the roadway it’s a hazardous situation, somebody could not be paying attention and rear-end you,” said Capt. Eric Sano of the police traffic unit. In most situations, authorities advise drivers should stay in vehicles until a state incident-response truck arrives to shield the area, or until police or firefighters show up. WSDOT traffic control specialist would activate lane-closure signs, warning messages, or a tunnel closure as soon as possible. They might direct the drivers to evacuate, over public-address speakers. Cell phones and radios work fine in the tunnel. In the case of blockage, police and paramedics might drive and stop on the opposite tunnel deck, then use the emergency stairs to reach the victims. Or responders might have to wait a couple of minutes for traffic to exit, then drive the “wrong way” toward the scene. There are other safety features like extra lights at the portals, so drivers’ eyes adjust easier between outdoor and indoor roadways and systems to detect and ventilate carbon monoxide when gases accumulate during a traffic jam. HNTB engineers have designed the reinforced tube with two-foot-thick walls, as per the requirement of WSDOT, to withstand the worst earthquake expected in 2,500 years, such as a magnitude of 9 in Richter scale rupture of the Cascadia Subduction Zone off Washington’s Pacific coast. As per the local emergency managers, a worst-case tsunami in Puget Sound, combined with 1 meter of sea-level rise from climate change, would total roughly 16 feet. This level is very unlikely to reach the Sodo entrance, where saltwater would flow beneath car decks and travelers.